Answers to frequently asked questions about Pawsitivity Service Dogs. If you are looking into getting a service dog, this is a good place to start. The following are all questions that have been asked of us, and our goal is to provide information ahead of time, so you can make an informed decision. Is there a fee for getting a service dog from Pawsitivity? 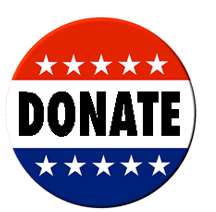 Are you a 501(c)(3) charity? Do we have to live in St. Paul, MN, to get a Service Dog? What breed of dogs do you use for service dogs? Do you start the process with puppies, or do you place fully-grown dogs? Do you train Diabetes Service Dogs? Can a person get health insurance or life insurance for a dog? Do you train service dogs for people in Canada? Do we actually get to own the dog? Has the service dog been trained trained specifically with the handler in mind, or has training been generalized to people with disabilities instead? Has the service dog been trained to respond to hand signals in addition to verbal cues? What's the difference between Standards, Tests, and Tasks? Is a service dog worth the time, money, and energy? Are service dogs appropriate for children? At what age can a child get a Service Dog? Can the Service Dog be brought to school? What are the ADA rules? What vest patches do you use? Does the vest and belt-harness come with the dog or would that be something we would need to purchase? What type of ongoing communication with our family will be included once the dog is placed? Do you have a general dog care FAQ? How do you train the families? How do you travel with a Service Dog? What is the history of Service Dogs? If you do not have the resources, i.e. savings, for your half, we totally understand, and in that case, we highly recommend another organization which is ten times as large as us: Canine Companions for Independence--their area code is 740 and their phone number is 833 - 3700. Note that while CCI does all the fundraising, that means that their waiting list is many years long. 1 - Pawsitivity works with rescues and shelters across the country to find that "1-in-a-thousand" dog that tests as being appropriate for training. Check out our page on "Breeds" to find out more about the difficulties of finding the right candidate dog for training! We find that our selecting and training the dog works better than having us (or you) train your current pet dog. 3 - When we find who we believe might be a good fit for the dog we're working with, we contact that person for an interview. If everything works out, we the train the dog (and the person). We fundraise half the cost of training, and your handler's fee is the other half. Yes, and all donations (including stock certificates) to Pawsitivity are tax-deductible. Our EIN is 47-1446634, and we are certified as a "Platinum Participant" on the GuideStar Exchange charity review. Children: If the dog is for a child, we recommend that families only apply if they live within driving distance of the Minneapolis/st. Paul metro area, which basically includes the state of Minnesota and the adjacent states. Unfortunately, it's hard to make the process work if you're not close by. Adults: If the Service Dog is for an adult and you live out-of-state, the process works best if you are willing and able to come visit for training sessions. 1. We have a thorough checklist before we even meet the dog. 2. If the dog passes the checklist, we then we personally test the dog. 3. If the dog passes the test, then there's a month-long evaluation procedure. 4. If the dog passes the evaluation period, the dog becomes a candidate for training. A short answer might be, "We use rescues, so it could be anything". A slightly longer answer is "We usually choose Goldens and Labs and mixes of Goldens or Labs for service dog work." But both those answers have a LOT of exceptions, and in general, how an individual dog scores on temperament testing is much more important that what breed they are. One problem is that there isn't a specific breed that has been bred for generations to be service dogs. Instead, there are a few, rare individuals that could be good candidates for service dog work (we estimate that about 1 out 1000 dogs is a good candidate for this job). We wish there were more breeds (and more individual dogs) that made good service dogs, but other breeds don't have a good track record. If you want an even longer answer, click here. We only train full-grown dogs, to ensure that the dog has the appropriate temperament. Plus, we place a high value on rescuing dogs. Long answer: Yes and no. According to other Service Dog trainers, there's a huge problem with what is called "client compliance," which is basically that it's too much to ask the handler with severe diabetes to keep up the training. In other words, the training can be done by the Service Dog agency, but afterward, the client would continually need to reward the dog with practice sessions twice weekly for the rest of its life (or else the training will slowly extinguish). Unfortunately, ths model is not particularly practical for most people. However, we have trained a mobility service dog (for a woman who had her leg amputated because of her diabetes) and this responsive, smart, bonded dog who had "learned how to learn" started spontaneously alerting his handler to her low blood sugar (from the smell of ketones on the handler's breath, although other experts think it's the smell of the sweat). Twice, the Service Dog has alerted to when her blood sugar dropped to 25. Both times the handler was sleeping, and once the dog woke her up and the other time she wouldn't awake so the dog went into the other room and woke up the husband by pawing him. The handler tells us that without her service dog she most certainly would have slipped into a coma. 4/20/17: Update: The handler has been doing very poorly health-wise, and when she again slipped into a 32-blood-sugar "nap" the dog was able to wake her up with uncharacteristic behavior--he barked (which he never does) and pawed at her (which he never does) until she woke up and got help. If you would like to be updated as to when we are accepting applications, click here. There's no company that offers life insurance for a dog, but there are places to get dog health insurance. We are located in the U.S. state of Minnesota (which is close to Canada), and we are in the city of St. Paul. We are a ten-minute drive from Minneapolis/St. Paul International Airport, and there is a nearby hotel called the Saint Paul Hotel. When you arrive, we recommend using a taxi from the airport to go to your hotel before meeting us because then you can rest from your trip. When we meet for the first time (sometimes at the University Club on Summit Avenue, which is five minutes away by car), we recommend using a taxi or Uber to get there. Nonstop flights are available from Toronto, Vancouver, Montreal, Edmonton, Calgary, and Winnipeg, and there are connecting flights from Ottowa and Quebec City. Just like out-of-state handlers from other parts of the U.S, we usually recommend three overnight visits (each with a meeting in the evening, and a meeting the next morning), although some handlers do more. The handler flies back on the last trip with the service dog at their feet. There is no quarantine of dogs from U.S. to Canada and no import restrictions on Service Dogs traveling with their handler. Nous sommes situés à l'état américain du Minnesota (ce qui est proche du Canada) et nous sommes dans la ville de St. Paul. Nous sommes à dix minutes en voiture de Minneapolis / St. Paul Aéroport International, et il y a un hôtel voisin appelé l'hôtel Saint Paul. Lorsque vous arrivez, nous vous recommandons d'utiliser un taxi de l'aéroport pour aller à votre hôtel avant de nous rencontrer, car vous pouvez vous reposer de votre voyage. Lorsque nous nous rencontrons pour la première fois (parfois au Club de l'Université sur Avenue du Summot, à cinq minutes en voiture), nous vous recommandons d'utiliser un taxi ou Uber pour y arriver. Les vols sans escale sont de Toronto, Vancouver, Montréal, Edmonton, Calgary et Winnipeg. D'autres vols proviennent d'Ottowa et de Québec. Nous recommandons généralement trois visites de deux jours. Le propriétaire revient sur le dernier voyage avec le chien de service à leurs pieds. Il n'y a pas de quarantaine américaine de chiens au Canada et aucune restriction d'importation pour les chiens de service voyageant avec leur propriétaire. Nous sommes désolés, nous ne parlons pas français et nous espérons que vous pouvez parler anglais avec nous. Alberta: The Human Rights, Citizenship, and Multicultural Act, which allows Service Dogs for people who are blind, or deaf, and now, under the Human Rights Amendment, to all physically disabled. British Columbia: The Human Rights code allows Service Dogs for people who are blind, deaf, or physically disabled. Manitoba: The Manitoba Human Rights Act, Chapter H175, allows Service Dogs for people who are blind, as well as people with a physical or mental disability. New Brunswick: The Human Rights Act of New Brunswick allows Service Dogs for people who are blind, deaf, or have a physical disability. Newfoundland and Labrador: The Human Rights Act which allows Service Dogs for people who are blind, deaf, or have a physical disability. Northwest Territories: The Northwest Territories Humans Rights Act allows Service Dogs for people who are blind, deaf, or have a physical disability. Nova Scotia: The Human Rights Act, which allows Service Dogs for people who are blind, deaf, or have a physical disability. Ontario: The Human Rights Act, which allows Service Dogs for people who are blind, deaf, or have a physical disability. Ontario has legislation banning pit bull breeds but we never train pit bull dogs. Prince Edward Island: The Human Rights Act, Chapter H-12, allows Service Dogs for people who are blind, deaf, or have a physical disability. Quebec: The Charter of Human Rights and Freedoms, especially R.S.Q. E-20.1, allows Service Dogs for people with a handicap. En français: Service de chiens pour personnes handicapées. Saskatchewan: The Saskatchewan Human Rights Code, allows Service Dogs for blindness, deafness, or people with a disability who have a physical reliance on a service animal. Yukon: The Yukon Human Rights Act allows Service Dogs for people who are blind, deaf, or have a physical disability. Yes. Some charities "co-own" their Service Dogs, but not Pawsitivity, and we will never forcibly "take back" the dog. Even if the handler passes away, the dog may be kept by the family as a loving and supportive pet. The dog will be specifically selected and trained with your disability, needs, and circumstances in mind. Note that this is one of the questions that Temple Grantin (autism researcher) recommends that potential service dog owners ask a service dog nonprofit (all her other recommended questions are also included in this list of questions and answers). Pawsitivity pre-screens, selects, and trains each Service Dog to perform specific tasks for a specific individual with a disability. Pawsitivity gives each dog an in-depth health screening, including neutering or spaying, if needed. After training, each Service Dog must pass a public access test. This test ascertains that the dog can handle the stress associated with functioning as a Service Dog in public. A Service Dog must be able to perform specific tasks for the person with a disability. Examples of these tasks include protecting a person who is having a seizure, reminding a person to take prescribed medications, turning on lights, and opening doors. Additionally, a child with an Autism Spectrum Disorder, for instance, may have several of these disabilities, plus they may experience disabilities unique to them, so each Pawsitivity trains each Service Dog with the individual's needs in mind. Serve as a “social bridge”, facilitating social interaction for the handler. Provide a calming presence and increase confidence. Give a sense of pride and purpose. Aid with everyday social challenges. Help lower overall stress levels (for both the child and their parents). Help the handler gain success and independence. For children, having a Service Dog often decreases the child's meltdowns and other disruptive behaviors, as well as bring improvements in their performance of daily routines and more social interactions. Cost: Training a service dog costs $39,000 (Pawsitivity asks you to provide half, which is $19,500). Benefit: The health care savings alone makes the service dog, with an effective life span of 8 years, a cost-effective strategy (saving an average of $92,664). This benefit is in addition to any increased earnings of parents and the lifetime benefits accrued. From a study commissioned by the Health Insurance Board, Netherlands. Marjon Diepenhorst, Tom Weijnen, Felicie van Vree, Project number: B3679, Zoetermeer, 9 March 2011. Abstract, published in Dutch. Reducing the use of care support compared to other aids/professional help/informal care? The core of this cost-utility analysis is the comparison between a care recipient with and a care recipient without an assistance dog in terms of cost of care and support. The group and the control group consisted of 200 care recipients. Case studies with interviews were also conducted. Part of the many cost savings from service dog ownership is realized in health care. Based on this factor, (which includes deducting the annual cost of care of the dog such as food and veterinarian bills) the annual savings for the service dog owner are €8,400 (in 2011, the exchange to dollars is an annual savings of $11,583) compared the costs incurred by a person without an service dog. This health care savings alone makes the service dog, with an effective life span of 8 years, a cost-effective strategy, because the costs are lower (saving an average of $92,664)--plus, the quality of life is higher than in the control group. In the case studies of some service dogs types (such as those for autism), the benefits are even higher: In these cases, the dog has a (very) positive effect on the independence of the care recipients. In some investigated cases, the dog may be with them 24-hours a day. In this situation, they not only lessen health care costs, they also contribute to a large extent to the quality of life of the client and their environment. In addition, in these researched examples we see enormous savings in informal care and voluntary care. Note that in some of these cases, the situation of the client is very specific (for example, having brittle diabetes mellitus). For these rare but serious problems (which are not always recorded in indication criteria), a service dog offers even more value to support people in daily life. Diepenhorst, M., Weijnen, T., & Van Vree, F. (2010). Kosten en effectiviteit van hulphonden. Eindrapport. Een onderzoek in opdracht van het College voor Zorgverzekeringen. 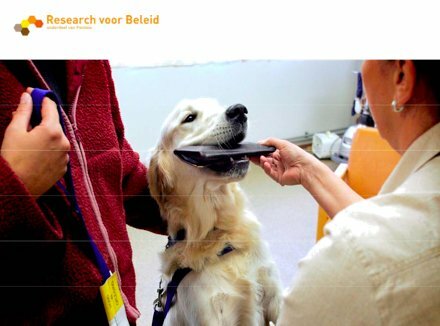 Zoetermeer: Research voor Beleid. - Desire to have a service dog. The child does not have to be obsessed with dogs, but it''s important that the child like dogs, and that the family is ready to have a dog in their lives. - Ability to care for the dog (or usually, the family's ability). - Disability-related needs. The autism spectrum, for example, has many different symptoms, and each child is different from all the others, so we work hard with you to make sure that a Service Dog will be appropriate for your specific needs and will help make the circumstance of your life more manageable. Even the best-trained dog requires some work, and with a child, in particular, that work is usually distributed across all family members. Our job is to make your life easier, not harder, and we will do our utmost to make sure that the dog-family fit is a good one. Ideally, caring for the dog (e.g., feeding, exercising, bathroom needs, etc.) will be a smaller burden compared to the many benefits of having a service dog. When children are younger, there's always the possibility that the dog might accidentally knock them over, and the. The child might be afraid of the dog. While we choose a dog that has an inherently gentle temperament, we want to make sure the dog and child are in a mutually beneficial relationship. Other than the general guideline that the child should be at least seven years old, we don't have formal age policies for matching a person with the dog because so much varies from person to person. Each person with a disability has their own capabilities (and each family has their own situation, resources, and desires). Whereas one family may be using the dog mainly for the mother to use the dog as a social bridge for the child, tethering, motivation, and teaching empathy, another family might have a teenager who is able to directly use the dog in terms of a dog/handler team (and thus the parents don't interact with the dog much at all). We realize that this answer includes a lot of generalities, but the hope is that it gives you a better idea of how the dog and person (or family) are matched up. Long answer: Sometimes, if the teacher wants the dog there (and even then, for a maximum of two hours). With adults and Service Dogs, (like a guide dog for the blind) the adult is in control of the Service Dog and makes all the decisions. With a child, though, it's still basically the adult i.e. parent, who is in charge, even though the Service Dog is for the child. An adult must be in charge because even the best-trained dog just doesn't have the cognitive ability to make decisions for the child. In other words, it’s usually too much responsibility to ask a child to control a dog and tell it what to do at school, thus, as a result, most schools ask that the child leave the Service Dog at home. So while some teachers and principals actually bring up the idea of a Service Dog and suggest that the parents get one for the child to bring to school, there are often other circumstances (such as limited resources) where having a dog in class makes a teacher's job harder, not easier. We believe that a Service Dog can be a great tool, and if the teacher wants the dog there every day, or even once in a while, that's great - but if the teacher doesn't want the dog there, that's okay, too. Of course, with the autism spectrum in particular, there are so many different symptoms and circumstances, so it really does depend on the situation. Longest answer: For an even more detailed answer with examples, check out our page on Service Dogs in Schools. - A Service Dog can only be owned by someone who has a disability, as defined by the Americans with Disabilities Act. - A Service Dog must be leashed, behave appropriately in all circumstances (thunder, noisy crowds, around other dogs), and the dog must be specifically trained with a task (such as a guide dog that leads a person who is blind across the street). If you want more detail, here is our complete explanation of the rules and regulations. Pawsitivity’s Mission is to rescue, train and place Service Dogs for individuals with disabilities, focusing on children with autism. Sometimes a dog is not appropriate for a child, and then we train the dog for an adult with other disabilities. For the main patch, we always proudly use our trademarked logo (which says Pawsitivity Service Dogs), but there's much more flexibility with the other patches. We work with the handler/family to decide what works best (perhaps “Autism Service Dog“ or “Please Do Not Pet” or “Ask to Pet,” for instance). Note that while we will make recommendations for what patches we will place on the vest, the final choice is always up to you, and you can always change the patches later, if you wish. Also, if you don't happen to have a crate, bed, dishes, bones, toys, and such, we'll send those, too. We'll even give you a big bag of the same grain-free dog food of the same brand the dog has been eating. If you ever want to switch food brands, use a different bed, etc., you always can, but it's nice to make the transition of the the dog’s beginning their life with you as smooth and easy as possible. We are always available for questions, either by phone, email, or in person. Yes--Here is a general dog care FAQ we wrote up for new dog-owners. We have a whole page on how we train Service Dogs, which we think you’ll love. Here’s how we train the families or people who gets a Pawsitivity Service Dog. Here’s a complete page on how to travel with a Service Dog. He’s a whole chapter from our award-winning book, all about the history of service dogs.